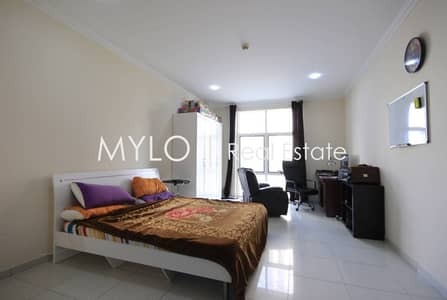 Mylo Real Estate is proud to present new to the market this studio at a very affordable price located on the 2nd floor of the Spring Oasis Tower, Dubai Silicon Oasis. This lovely studio has 644 Square per Feet and Community View. As you enter the property you will notice the open kitchen and the bathroom on your left. This studio is bright and sunny. It’s close to the markets, mall and schools. The security is available 24/7. It's tenanted until october 2019 for 40,000 AED. Great deal for investor who looking for a good ROI. The price for this studio is one of the lowest on the market, 445,000 AED and motivate seller. Spings Oasis Tower is a very appreciated residential tower. It has many quality facilities including swimming pool, 24/24 security and covered parking up to six level. The Springs Oasis Tower also offer an easy acces to many activities as shop, restaurants or supermarket.